These stunning, near-priceless objets d'art use ancient artisanal skills. Rare handcrafts have been a part of the Patek Philippe brand since it was founded in 1839. The luxury timepiece maker was created in Geneva, which traces its status as a “center of excellence for rare handcrafts” back to the 17th century. For 2018, Patek Philippe showcased its entire collection of rare handcraft timepieces at Baselworld 2018. Visitors had the special opportunity to view the stunning objets d'art in person. The 50-piece collection is made up of limited-edition dome clocks, pocket watches, and wristwatches that were crafted with the use of ancient artisanal skills. In addition to being manually engraved—the oldest technique associated with watchmaking, the rare handcrafts were decorated using more obscure techniques such as gemsetting, hand guilloching, and various grand-feu enameling techniques (miniature painting on enamel, cloisonné, champlevé, paillonné, flinqué, grisaille, plique-à-jour, Limoges enamel painting). This year, the brand is reviving the Genevan technique of wood micromarquetry and a mix of modern techniques to fashion one-of-a-kind treasures. Patek Philippe president Thierry Stern and his wife, creative director Sandrine Stern, are fully committed to preserving artisans and their skills. “My father continued producing these timepieces even when no one was buying them some years ago, because he did not want the crafts or the knowledge to be lost. Today, thanks to his vision, Patek Philippe continues the tradition and is making sure the savoir-faire is shared with future generations,” he shares. Ref. 992/127J "Königssee in Bavaria"
This unique, yellow gold pocket watch features an image inspired by Austrian painter Friedrich Gauermann. It depicts a scene set in the Königssee in the Bavarian Alps crafted through the Grand Feu miniature painting technique, with over 18 enamel colors, and finished with transparent flux. To complete the image, a single hair paintbrush was used at times. 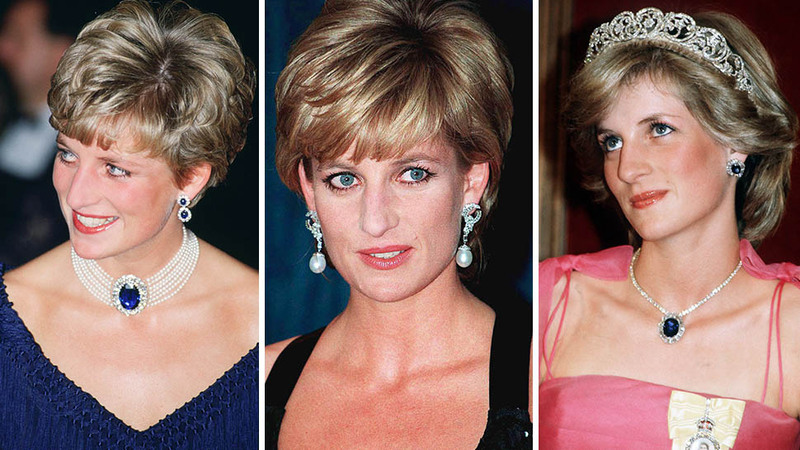 The crown is set in a pale-green tourmaline cabochon, and is accompanied by a yellow gold stand. To create this intricate, one-of-a-kind dome clock, an enameler used 3.25 m of gold wire with over 24 enamel colors in transparent, opaque, and opalescent varieties. Each piece was considered as even the tip of the clock's hands were created to resemble the tails of comets. Ref. 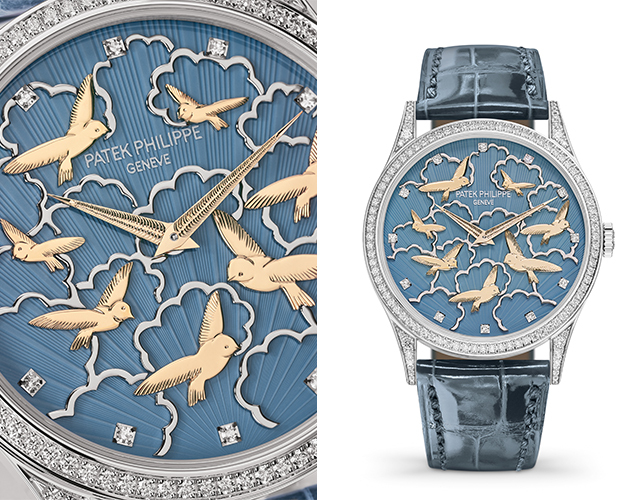 5077/101 "Pictures in Relief"
Patek's Calatrava watch is reimagined with images of birds and clouds. "Pictures in Relief" features hand-executed guilloché work and gold applied ornaments; gold hand-guilloched dial plate; lacquered dial; handcrafted gold-applied ornaments; hour circle with 12 diamonds set in gold chatons; and hand-engraved Dauphine hands. 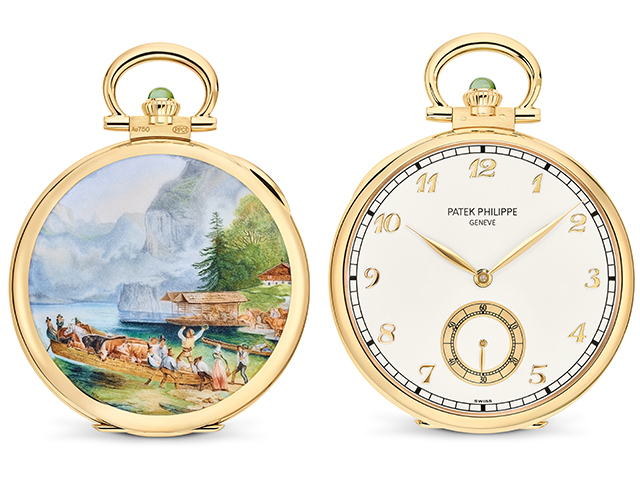 Along with the rare handcrafts, Patek Philippe presented the newest models from this year. Stern points to three models—a special anniversary piece, a new perpetual calendar, and a revisited classic—as his top choices. One of the highlights is the Ref. 5531 World Time Minute Repeater. 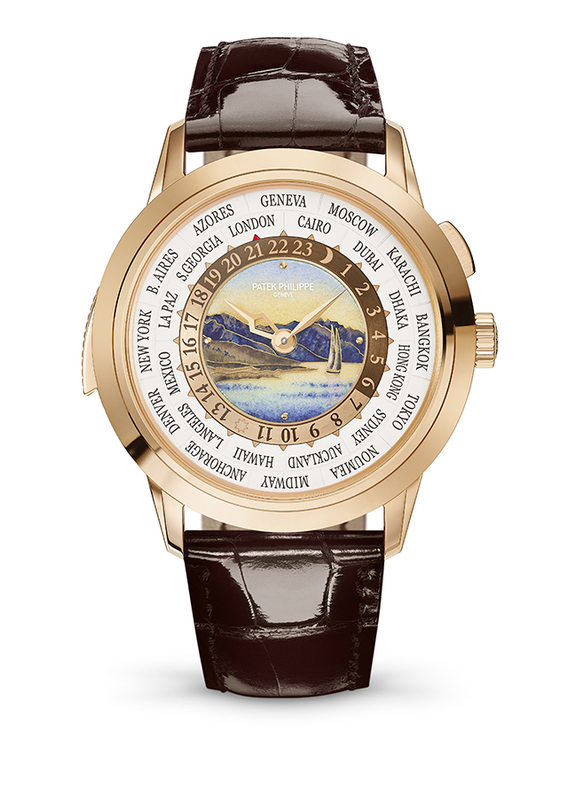 First presented in New York back in 2017, it’s been refreshed with a new dial which features a cloisonné enamel depiction of the Lavaux wine-growing region overlooking the shores of Lake Geneva. There’s also the Aquanaut Chronograph, a new manually wound chronograph, which comes in striking orange and black straps. 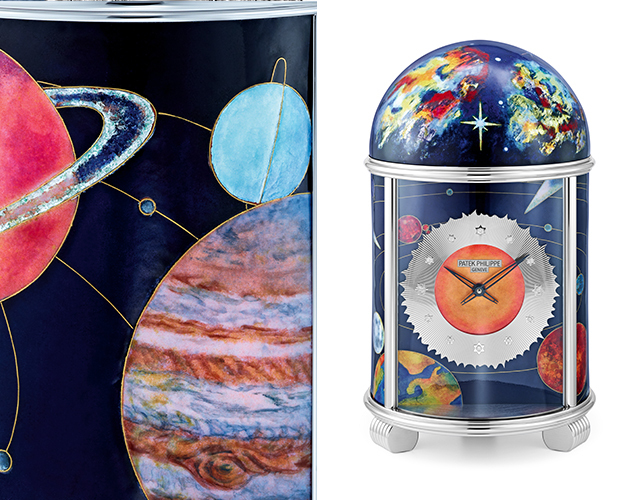 His third pick is the Nautilus Perpetual Calendar Ref. 5740/1G-001, the brand’s thinnest perpetual calendar watch.